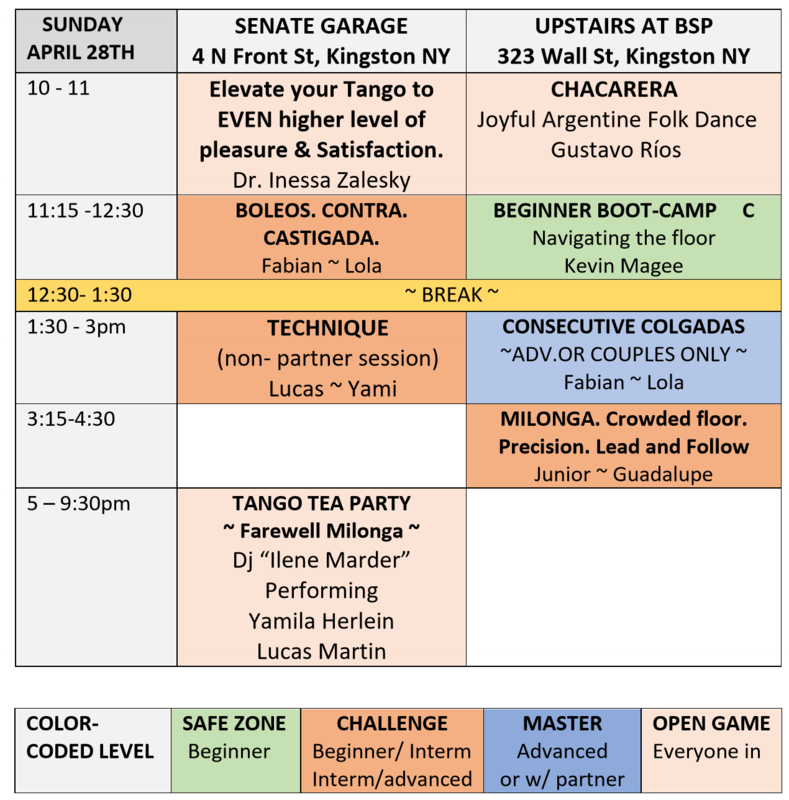 Save the date and join the most important event for the Tango community in New York. H.V Tango Festival is the only festival in New York, so come, support us and your community. 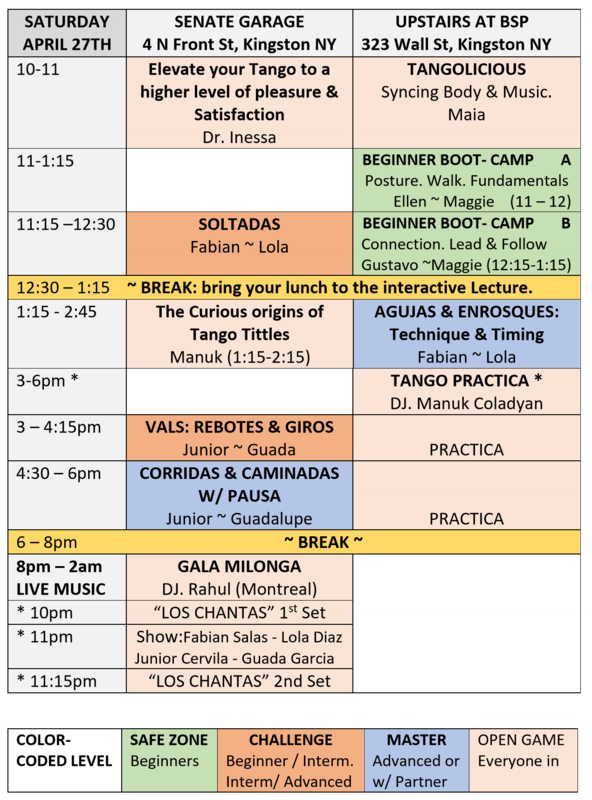 Inspire dancers from other states to come and be part of this fabulous weekend. 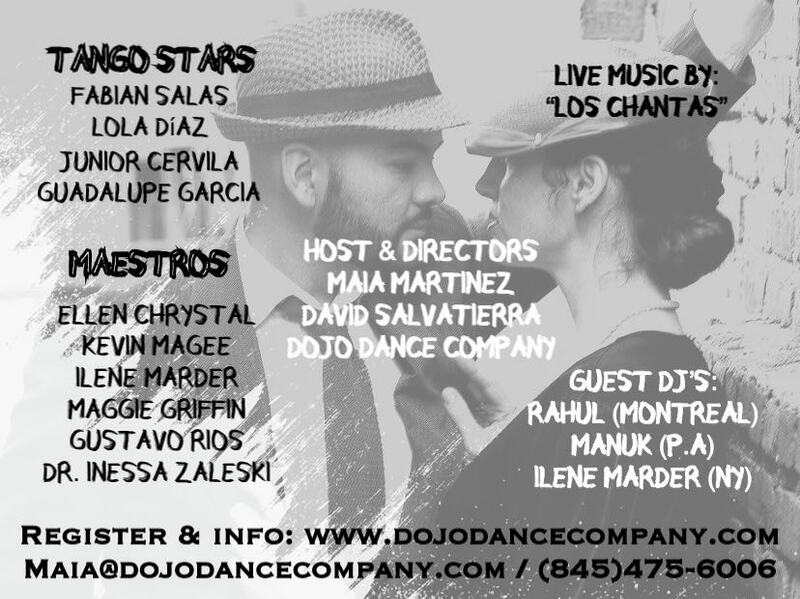 Our local teachers and the Tango stars Junior Cervila & Guadalupe Garcia Fabian Salas & Lola Diaz will be waiting for you. The event will be held at the majestic SENATE GARAGE located in the heart of the Stockade District in Kingston NY. Easy and extensive parking, easy commute, accommodations near by, many lovely cafes and restaurants 1 minute walk.